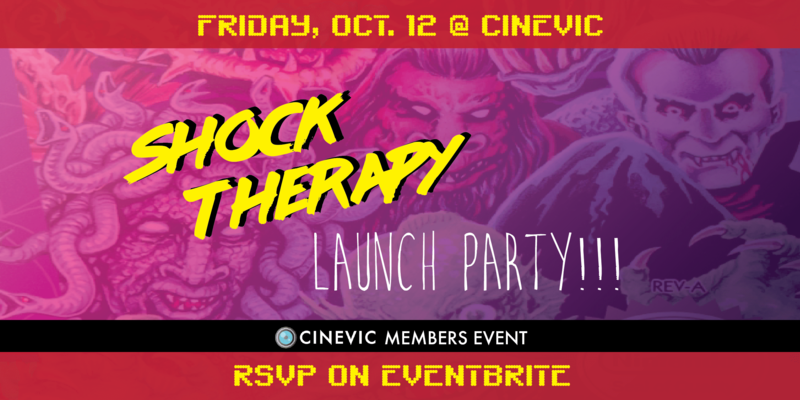 Celebrate the kick off of our first ever horror screening event, and get your monster mash on at our Shock Therapy Launch Party / Halloween party. With costumes, drinks, and CineVic’s favourite DJ — A DJ Called Malice — this is going to be CineVic’s best Halloween party yet! This event is free for CineVic members and filmmakers screening in Shock Therapy, but please get a ticket on Eventbrite, because we will fill up! If you haven’t already, get your Shock Therapy tickets here!